Our fantastic range of Azimut motor yachts, will enable guests to choose from a selection of 9 contemporary yachts, from 34 feet and upwards. All yachts are skippered by qualified crew and undergo regular professional maintenance. Sail in the azure waters of the Mediterranean sea, around islands steeped in history, architectural gems, crystal clear waters and beautiful beaches are all to be discovered. Choose from a select fleet of fully equipped and high quality yachts. Our portfolio enables us to offer everything from day yacht charters around the wonderful and enchanting islands of Malta, Gozo and Comino to longer duration charters, which can take you as far as Lampedusa, Sicily and the Aeolian Islands. Our skippers and crew will ensure that your stay onboard is trouble free, allowing you to make the most of your day out at sea. Sleek lines, luxurious interiors and state of the art the engineering design. Our carefully selected portfolio of luxury yachts offer timeless styling, beautiful furnishing and spacious living areas to create an elegant and comfortable atmosphere ideal for socialising and entertaining. Carefully designed deck areas create the perfect setting to absorb beautiful surroundings. Our luxury yachts are equipped with a professional crew, who will give you exclusive VIP Treatment ensuring maximum comfort and enjoyment on board. Charter prices start from €950, excl VAT per day. Click on any of the above for more information on available yachts. 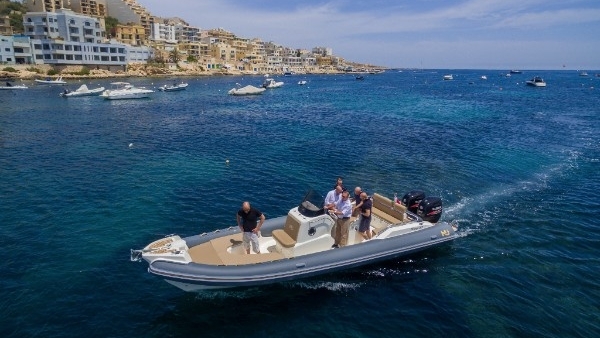 Fast and fun, allowing you to be set free, wind in your hair as you whizz along the Maltese Islands’ coast to explore and spend quality time relaxing in some of Malta's isolated beaches. Enjoy the splendour within a Maltese sunset. 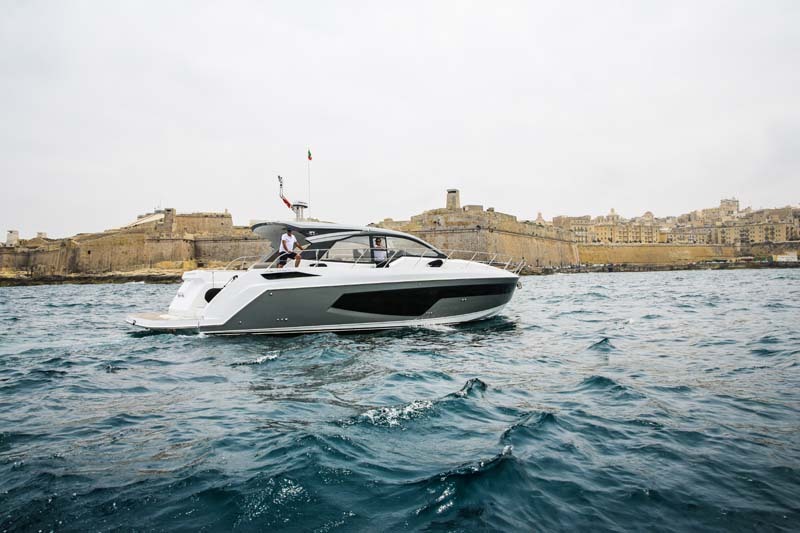 Don’t forget to take a quick tour of our majestic grand harbour before heading back to the marina.